Dave has been using Shopify for his platform to sell his uCurrent. Contextual Electronics will have an embedded portion. Chris is bringing on people to help. Vagrant is a program that helps to script installs. CE will have a fully formed image for getting up and running with Linux/KiCad/dependencies. PunchThrough just announced the Bean+. Chris asked how to explain switching converters without math. He didn’t realize Dave had made a video about this back in his early days. The board in Dave’s old intro used a Virtex 5, which Chris thought that past guest Philip Freidin worked on. Dave needed to do Bit Error Rate Testing (BERT) after running traces on that board it was so high speed. Dave and David2 will be switching away from using (Altium) CircuitMaker on the uSupply project. They will be using KiCad! Chris is reinstalling KiCad now that he has a Windows 10 box. The eevblog forum has a post about which EE programs are affected by the upgrade. Chris asks about recycling programs for electronics (and making sure they aren’t just shipped off to a 3rd world country). Silicon is the 2nd most abundant element in the earth’s crust. Our wonderful patrons on Patreon now cover the cost of sending a microphone to each guest we have on. You can help contribute as well! Shark Tank had an episode where one of the entrepreneurs talks about the issues they had with shopping cart and website woes! So how are Vagrant scripts written? Seems like an interesting idea, but does it only work for installing from git/sourceforge/etc? Or can it be setup to install any software.. Microchip Mplabx, Xilinx Vivado, etc? Regarding Blue+/BLE-Stack 2/etc, I’d love to see a development kit for NON-BLE 250kbps rubbish… something that’s going to be plugged in to wall and uses bluetooth classic, I haven’t been able to find any bluetooth 2.1 EDR module for example, for a high thruput bt wireless application (FTP profile). Those professional spacemouse devices looks awesome! Does it help with xDX Designer? … surprised that no one has chimed in yet on disposal of unwanted electronic items. 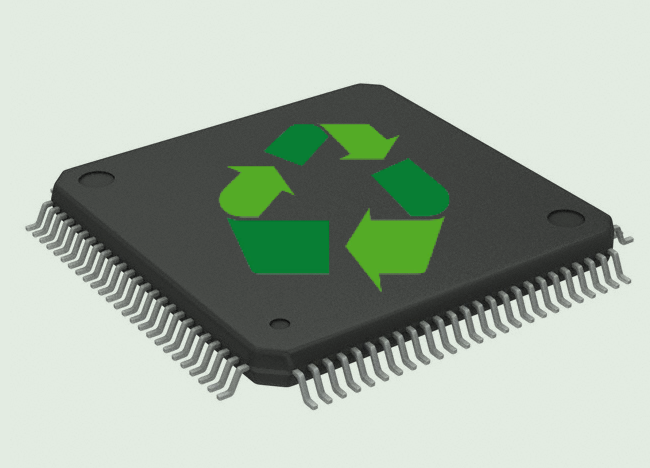 Dev boards, PCBs, etc, fall in to a broad category of electronic waste (or E waste) that has only recently been starting to get managed separately by the solid waste industry. Unfortunately, lots of old cathode ray tube monitors made their way into the trash before local and state governments caught up and set up their E Waste programs. By 2015, most counties and cities in the US should have somewhere to take this stuff. Often, it will be part of the household hazardous waste collection center. These sorts of programs are typically free to residents, but businesses are often on the hook for their wastes. Like you mentioned in the program, there are some folks that engage in “sham” recycling and plenty of US operators just fill shipping containers and send the stuff back to china. I really don’t know of a good way to separate the wheat from the chaff. In my area, they suggest taking e-waste to Staples, so that sounds simple enough. Awesome, thanks for the resources! If electronics were a Disney movie, we would just drop the stuff down a mine shaft to complete the Circle of Life, but this week’s spill to the Animas River in Colorado would send that script back to the writer’s room for revisions. For me, an easy way to think of buck smps, is just think of the ratio to vin>vout, that is your PWM duty cycle and then since you want a solid voltage, not a pulsing one you put an inductor and a capacitor to filter it. – not 100% accurate but close enough.